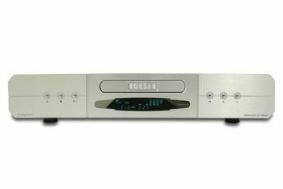 Roksan launches new Caspian M2 Series | What Hi-Fi? Taking design cues and technological inspiration from the company's ultra-high-end Platinum Series, the Caspian M-Series has been fundamentally redesigned on the inside and out. There's a new remote control for the Caspian Series, as seen on the K2 Series, alongside smartly finished steel chassis. The M2 amp boasts 85 watts per channel at 8 ohms, two ultra low noise transformers, five line inputs and gold-plated connectors. Focusing on the CD player, you'll find a one-piece motherboard, dedicated power supplies for the outputs, a 24-bit DAC and an 'individually-selected' laser mechanism. We're off to the official launch next week, so look out for more news and pictures online.